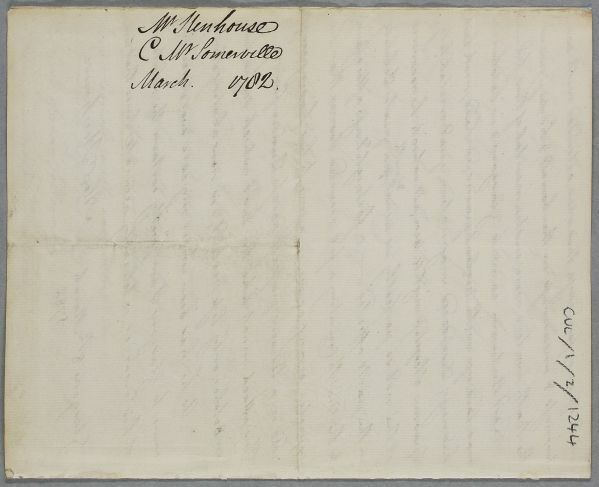 Letter from Alexander Stenhouse, concerning the case of Francis Somervill. 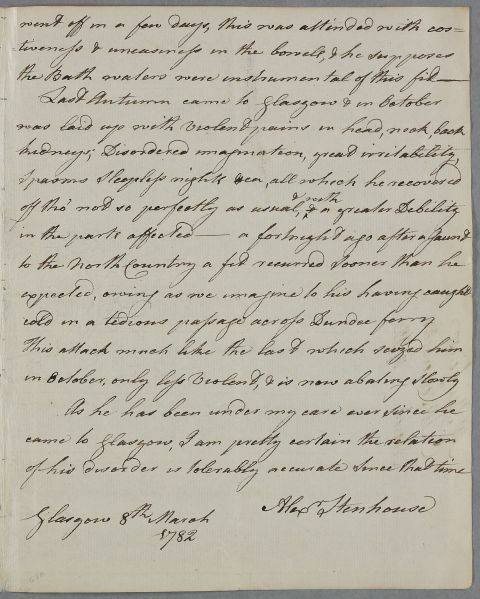 Summary Letter from Alexander Stenhouse, concerning the case of Francis Somervill. 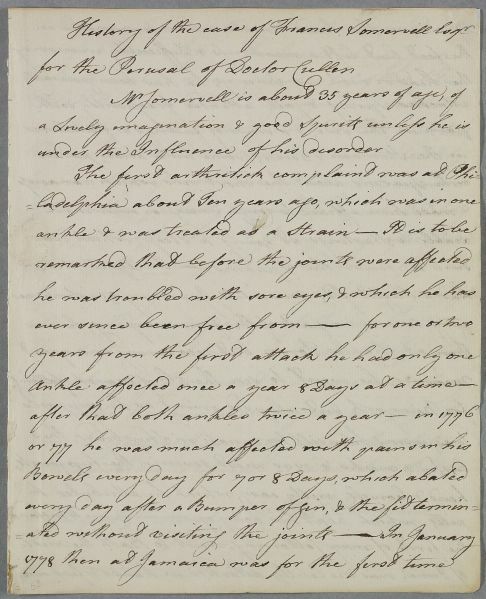 Case of Francis (Frank) Somervell who has an arthritic complaint. 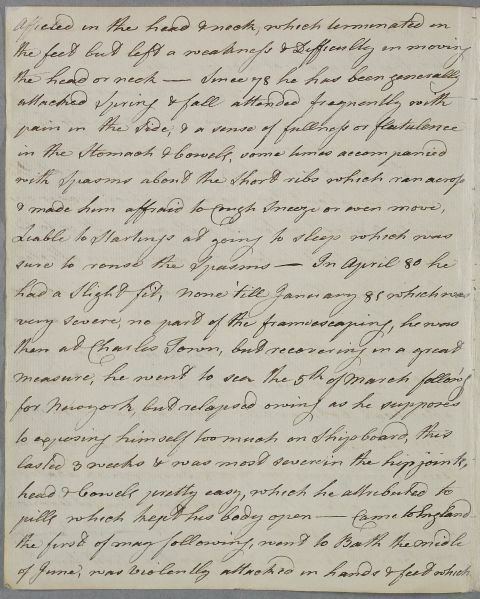 History of the case of Francis Somervell Esqr. in October, only less Violent, & is not abating slowly.